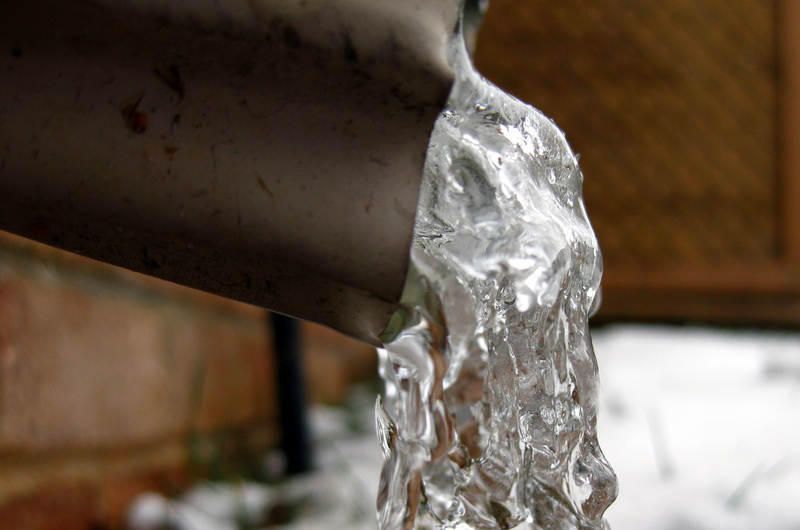 All throughout the winter, homes are vulnerable to the possibility of burst pipes. Pipe bursts typically occur when the water within the pipes freezes and expands, building the pressure within the pipe until it finally ruptures. As much as a couple hundred gallons of water can spill into your home within a couple hours, leading to extensive damage and mold growth. During the winter, frozen pipes are among the most common causes of significant property damage. When a pipe burst occurs, many homeowners might immediately wonder, will my homeowner’s insurance cover the damage? In general, homeowner’s insurance does cover water damage caused by a burst pipe, but not the damage to the pipe or plumbing equipment. There may also be other stipulations, depending on your coverage, when it comes to covering damage from a burst pipe, such as possible negligence. This guide will help you through the insurance claim process to cover damage from frozen pipes. The cost of removing and replacing the wall to get to the burst pipe. Repair of any damage to your carpeting, flooring, drywall, and furnishings. Stop the damage: A lot of water can leak from a burst pipe in a short period of time, which can cause very serious damage. You must immediately react to stop the spread of the water and limit the damage. Start by shutting off the water at the emergency shut-off valve. Once the flow of water has stopped, call a professional that can provide water damage restoration. If you do not take action to stop the damage, your insurance company may cite this as a reason to deny your claim. Document the damage: As with any other type of insurance claim, it helps to fully document the damage caused by a pipe burst. Take pictures of damaged items including the wall, flooring, and the pipe itself. Thorough documentation of the damage will allow you to easily resolve any questions about your claim. 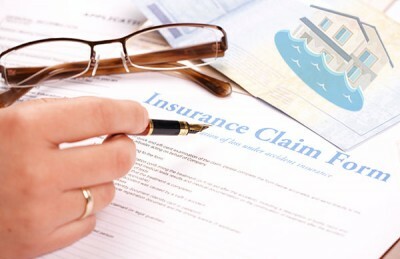 Contact insurance company: After you have taken steps to slow the spread of the damage and document its effects, it is time to call your insurance provider. When talking with an insurance representative, it is very important to refer to the damage as “water damage.” You should never use the word “flood” because insurance companies deal with flooding differently. Make sure your insurance company will cover the costs of the restoration including the repair or replacement of flooring, drywall, carpeting, furnishings, and other personal belongings that were damaged. If you must temporarily leave your home for the repairs to be completed, your insurance company may reimburse your living expenses. Flood damage: As mentioned earlier, it is very important that you never use the word “flood” to describe the damage to your home. If your insurance company considers the damage a flood, it can deny coverage. In home flooding is typically only covered by flood insurance policies which must be purchased separately from a normal homeowner’s insurance policy. Negligence: Negligence is the most often cited reason for refusing to cover the damage from a frozen pipe. An insurance company may site negligence if you did not take any precautionary measures to prevent frozen pipes in your home. Your claim can also be denied on the basis of normal wear and tear if the pipe that burst was damaged or corroded to begin with. It is your responsibility as a homeowner to take preventative measures against frozen pipes and repair or replace parts of the plumbing system when necessary. It helps to document the preventive actions you take so you can prove it if you need to file an insurance claim. Keep the faucets in your home slightly turned on when the temperature drops below freezing so that there is a slow trickle. This will help keep the water moving within the pipes and prevent freezing. Set the heating in your home no lower than 65 degrees. Keep cabinet doors below kitchen and bathroom sinks open so the home’s heating can reach the pipes underneath. Take garden hoses inside and cover outside faucets in the winter. Know where the main water shut-off valve is. Install pipe insulation or heating tape on pipes in areas with little insulation like attics, crawlspaces, and exterior walls. Keep windows and open-air vents closed. Keep your basement well heated. Shut off the water in your home if you will be away for an extended period during the winter. Pipe bursts can happen suddenly due to frozen pipes in the winter, and they can cause significant, widespread damage in a short period of time. Fortunately, your homeowner’s insurance is likely to cover the resulting water damage as long as you take the right precautionary measures to avoid being cited for negligence. When it comes to dealing with the damage, it is important to contact a trusted water damage restoration professional that can handle the aftermath of a burst pipe. These professionals have the right tools to fully restore the damage, and they will even work with your insurance company on the claim.